Dr. Ganesh is a popular Dentist in Kodambakkam, Chennai. He has helped numerous patients in his 11 years of experience as a Dentist. He is a qualified BDS . 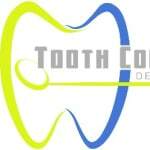 He is currently associated with TOOTH COMPANY DENTAL CLINIC in Kodambakkam, Chennai. You can book an instant appointment online with Dr. Ganesh on Lybrate.com. Lybrate.com has a nexus of the most experienced Dentists in India. You will find Dentists with more than 44 years of experience on Lybrate.com. You can find Dentists online in Chennai and from across India. View the profile of medical specialists and their reviews from other patients to make an informed decision. dr Ganesh is very professional and is a really patient listener.The complete process of Aesthetic Dentistry Treatment at Tooth Company Dental Clinic in Chennai was so painless and quick, and i am so relieved that I chose to consult with him. He is not just highly highly qualified, but has years of experience in handling high risk cases.From quite some time i was suffering from pain, but never gave much importance to it but i am happy i finally took the treatment. I needed a teeth reshaping treatment, for which I consulted Dr Ganesh. I am so much benefitted with his teeth reshaping, that i am perfectly fine now. Thanks to him for improving my teeths condition. He is really a great dentist. Its always satisfactory. Great experience. Always having mouth ulcer Every month or in every 2 months I am having mouth ulcer. Are you suffering from constipation or any stomach problem? if yes then this is thr reason. Take high fibre diet, increase liquids, fresh fruits, simple food. You can take b complex capsules once a day avoid spicy food. Do this to reduce ulcers. Consult a docrtor for medicine. With medicine your ulcers will be cure completely. I am suffering from gas, nausea headache, unable to swallow in Morning till 12.30 - 1.00 Late wake up 10.30 - 11.00,very low energy,& terrible pain in muscles, jaw etc. Eruptions till thyroid gland. Little mucus cough white with nausea vomiting while brushing teeth Trapped while lying on single bed with 2 pillows, sometimes I have to turn the pillow. Pain at nodal with thyroid gland in ears to ringing itchiness tinnitus. TMJ pain. Please you may take the given medicine. 1) Iodum 200, in no 30 globules, to be taken four globules once in the morning before food for 15 days, and wait for 15 days then report me the result for next medicine. My teeth bleeding everyday and every time not stop. I used sensodine toothpaste but problem same. Pleas help me. I am facing pyria problem. Can you suggest the best toothpaste or other medicine. I have problem of pimples on mouth, how can I remove it? please give me suggestions fot this. Eat lot of fruits & green leafy vegetables & drink plenty of water. We need more investigations with clinical examination to decide upon treatment. You may need coronoplasty (smoothen teeth edges) along with t. Rebagen 10, morning one tab & one at night for 5 days, c. Becosules 5 cap, for five days in the morning after meals. Hexigel ointment on the area of ulcer. Rinse your mouth thoroughly with a mouth wash after every meals. Dental tips: - visit a dentist every six months for cleaning and a thorough dental check-up. Limit sugary food to avoid tooth decay. Gargle your mouth thoroughly after every meal. Scrub gently to clean your tongue with a tongue cleaner. Floss all your teeth inter dentally & brush twice daily, morning & night, up & down short vertical strokes, with ultra-soft bristles, indicator brush. Tooth brush to be changed every 2 months. I have pain in back bone and neck and my teeths are suddenly broken please help me sir thanks. CAUSES: People who grind or clench their teeth, The way a person's teeth come together it can put too much pressure on one tooth, causing the tooth to crack, Teeth with large fillings, Teeth that have undergone root canal treatment. TREATMENT: •	Composite bonding is a way to repair chipped, cracked, decayed, discolored, misshapen, and gapped teeth. Composite bonding can last up to 10 years. •	Veneers are covers for a tooth. The veneer is bonded to the front of the tooth, transforming the tooth’s appearance. With good care, veneers can last up to 30 years, so you won’t have to worry about getting it replaced regularly. You can have veneers placed on one tooth or a few. •	If your tooth is chipped badly or you have pain when chewing or drinking, you may need a crown. Crowns are one of the most common restorative treatments.A crown is a cap that covers the tooth and protects in and approves the appearance. It acts as a strong covering for your tooth. When you get a crown, this prevents you from losing your tooth. Without a crown, a damaged tooth won’t be able to withstand the pressure of chewing. •	If you have a crack in your tooth that has extended into the pulp,(i.e) if you experience any toothache, sensitivity, or swelling, the tooth requires root canal treatment. Some time after the root canal, a crown can be placed to protect the crack from spreading. Until then, you will be given a temporary crown to wear. Left untreated, infection can spread, causing abscess, bone loss, and other serious problems. •	If you have a crack in your tooth that extends below the gum line, your tooth is no longer treatable, and the tooth won’t be able to be saved. You will need a tooth extraction, which means your tooth will need to be pulled. And then, you can get a artificial tooth like dental implant/FPD/RPD to replace your natural tooth. Sir I my teeth is not so well in colour. I would like to whiten my teeth kindly suggest me. You can use toothpaste pyx-g, it's a mild bleaching agent improve your shade. Or your can get bleaching done at a dental clinic. Cavities - Get Them Filled! Don't delay in getting those black spots checked by your dentist, as they could be a cavity/decay in the tooth.